It was awfully cold and windy yesterday. 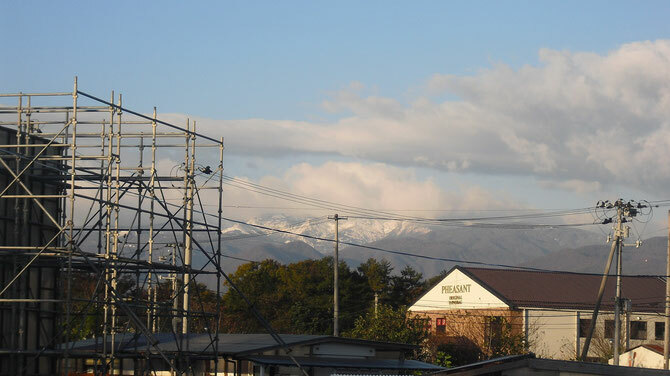 Wondering how's this morning and peeping through the blinds, there is found snow on the top of Mt. Zao. Winter is coming.